4211 Ellwood Avenue Berkley, MI. | MLS# 218113093 | The premier resource for all real estate information and services in Metro Detroit. BUILT by ALIMOFF BUILDING. READY TO MOVE IN WITHIN 30 DAYS High Quality Construction with Well Thought Through Flr Plan. Not Another Cookie Cutter Home. High 9ft 1st Flr Ceiling with Open Flr Plan features Walk-In Pantry in the Kitchen, Mud Room with Drop Zone and USB Plug, Kitchen Island with Wine Cooler and Built-in Microwave, Kitchen Cabinets with Built-in Trash Cans, Range Hood Over the Stove, 42'' High Upper Kitchen Cabinets, Built-in Wine Rack and Designer Granite. Solid Oak Wide Plank Wood Flooring Throughout the Entire 1st Floor. 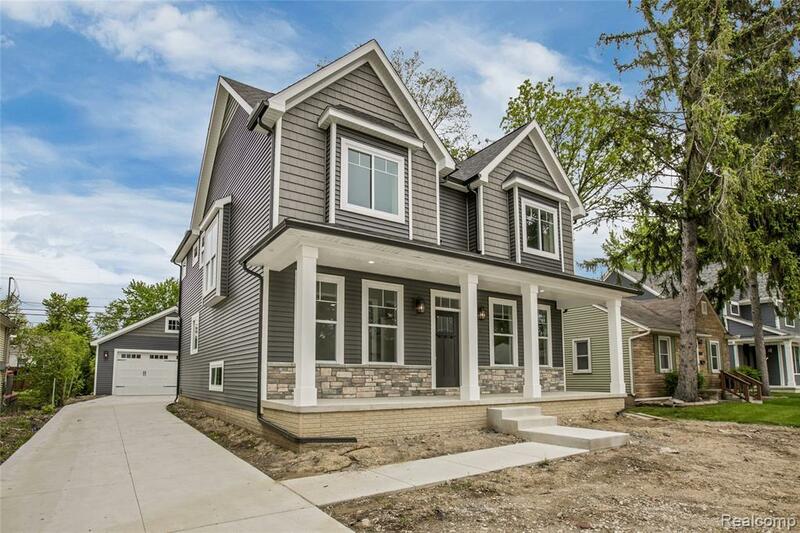 Craftsman Style Trim Throughout with High 8ft Tall Doors on 1st Flr. 2nd Flr Features 600 sq f Master Suite with High Pan Ceiling, His/Hers Master Closets with Built-in Shoe Racks, Private Toilet room, 3x5 Soaker Tub, Separate His/Hers Sinks and Large Walk-In Shower with Rain Head. Woman-Centric Home Design with Plenty of Closets. Striking Front Elevation with Stone Veneer. Oversized 24x20 Garage. Wood Deck.